to answer Salvatore Schimenti's question on ArcheOS FaceBook page, I report here the complete software list of version 4.0 (codename Caesar). 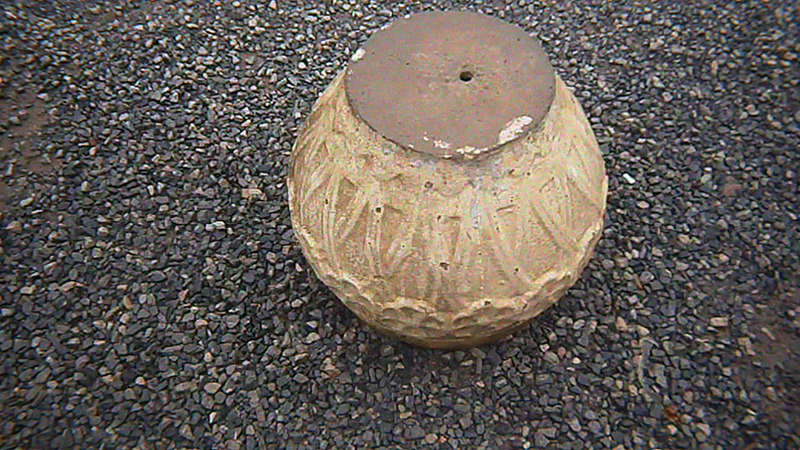 Soon, with a series of short post, I will also try to describe the main archaeological applications of each software. The list is also available on github ArcheOS wiki. 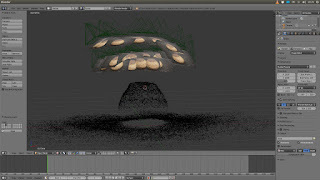 Year by year the growing of Blender come increasing and surprising us. 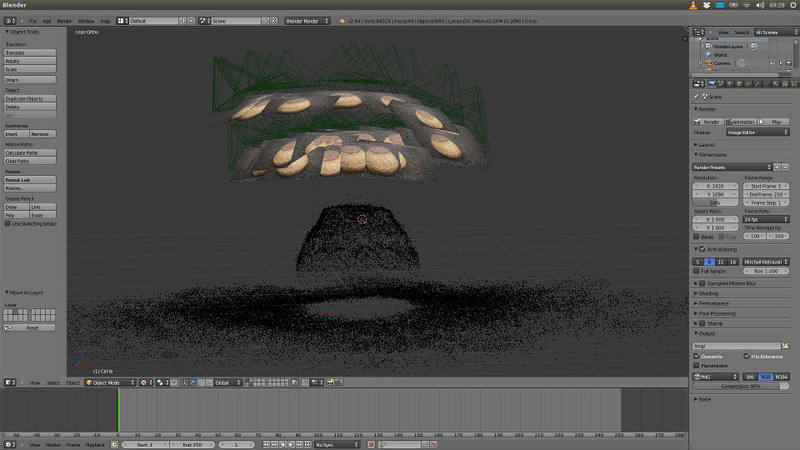 The short movie Tears of Steel proves this, mainly with the new feature of Blender, the camera tracking. 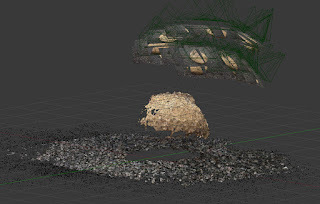 This article will show some tests with this technology in conjunction with Pyhton Photogrammetry Toolbox. Firstly we did an attempt to reconstruct a scene partially with PPT and match it with the footage. Second, we use the camera tracked and we imported other scene (sphynx) to use the real movement of the camera. Why use PPT instead a modeling over a picture? 1) Because the reconstruction over a picture is subjective and have the distortion of the perspective. 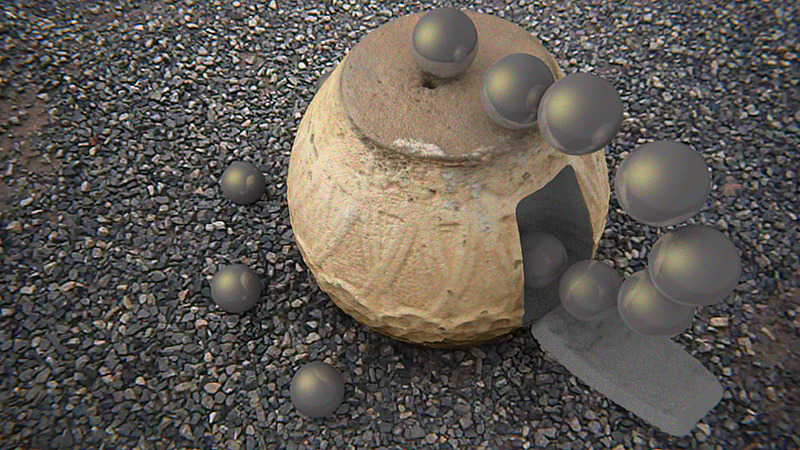 2) Because scanning complex objects can be easer than modeling it (thing in a statue broken, or an assimetric vase). 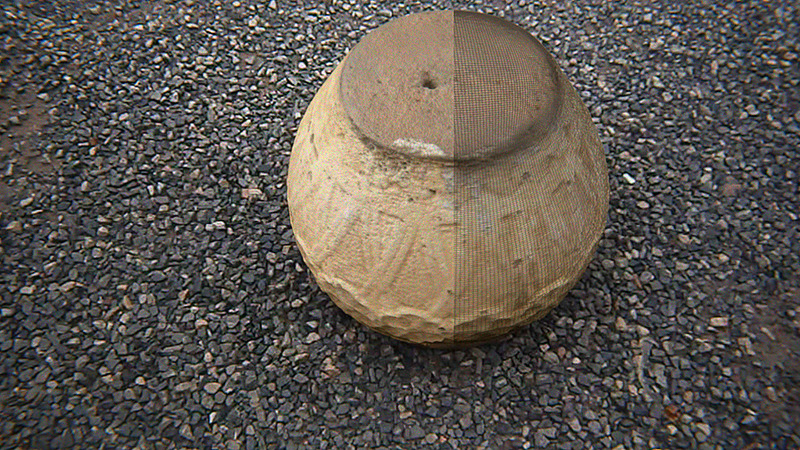 3) Because make the texture will be easier when we use the reference pictures. 4) Because you can use the frames of the footage to reconstruct the scene. 4) Because the work of ilumination can be easier cause the texture already be illuminated and the scene (background) be ready. How can I use the camera tracking in Blender? Make the process can be more easier than you think. A good videotutorial can be found here. Once you have the scene tracked, you can do the reconstruction using PPT. 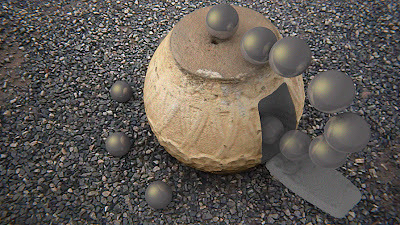 The image above is a frame of the original footage. How we said, you can use the video to make the reconstruction with PPT. You will have to convert the video in a imagem sequence using FFMPEG, for example (see the previous articles). The great news, is that we discover (thanks to rgaidao!) an addon that imports Bundler files (bundler.out) inside Blender. 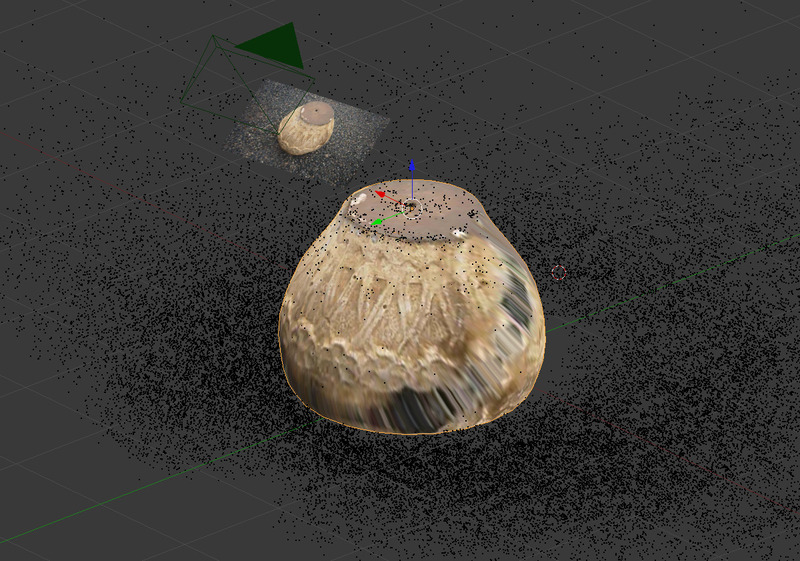 With this, you can receive the cameras with the pictures to project the texture on model. And produce a model with a great quality of resemblance with the original. Obs. : Unfortunately this reconstruction wasn't made by Luca Bezzi, the master of PPT reconstruction. 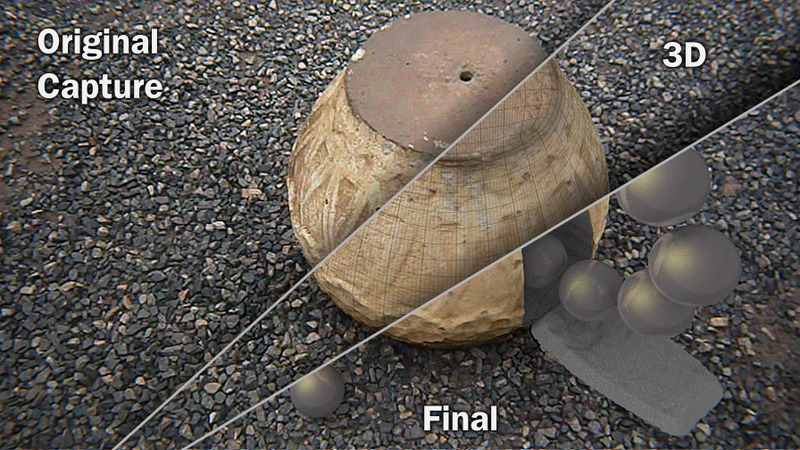 So, we did all possible cover using Meshlab and Ball Pivoting reconstruction. This was sufficient to make a model that matched with the original in the important areas. With the model tracked, reconstructed and matched, you can increase the possibilities of animation to make the impossible... like the picture above, and the videos in the top. 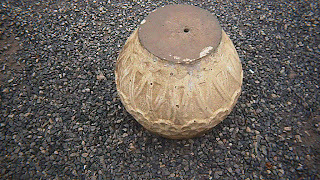 In archaeology, the Blender traking can be used, for example, to reconstruct ancient builds over current ruins. The uses can be many, your creativity is the limitation. This post is published very late, but, due to technical problem, I could not write it before. Among the different articles regarding the Taung Project, this one should be read at the beginning, as it regards the 3D acquisition of the cast we used for the facial reconstruction. As usual, we tried to choose the best technique to record a 3D digital copy of our subject and, as often happened, the best strategy was to use SfM/MVSR software. 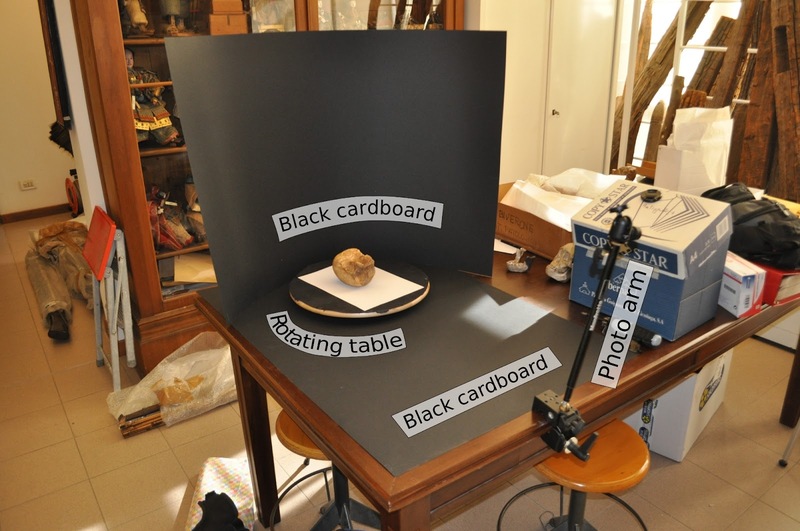 Thanks to the versatility of this methodology, all I had to do was set up a makeshift photo laboratory in a free space at the Anthropological Museum of Padua University. The image below shows my temporary workspace. Then I took four different series of pictures: two for the cast of the original fossil (with and without flash) and two for a reconstructed cast of the same find (always with and without flash). I used an higher and a lower angle of shooting for each series. 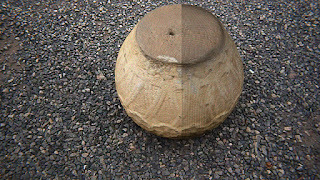 The animation below shows the pictures taken from the lower angle (while the two photos on the corner come from the higher corner). As you can see, to take the pictures I used the same technique of this post. All in all, data acquiring operation did not require very much time (more or less a couple of hours) and the same day I was able to give all the photos to Alessandro Bezzi, who could elaborate them with Pierre Moulon's PPT (in ArcheOS) with his laptop (which is more fast and powerful than mine). Despite what I wrote in the post I mentioned before, this time the post-processing worked perfectly with PPT and Bundler 4, so that just some hours later a raw 3D model was ready to be sent in Brazil, where Cicero Moraes started the facial reconstruction work he described in his three posts (1, 2, 3). In case you want to replicate the experiment, I add some useful link to share the data. As usual in ATOR, they are licensed with Creative Commons. Here you can download a zipped file with the original pictures. To get the 3D model you can use your favorite SfM - IBM combination of software. If everything work good, you should have a model similar to this pointcloud (you can also see in in the clip below). If you want to give your model the real metric values, please use the A4 sheet as reference (21 x 29,7 cm), like I did for the find of this post.